This one’s slightly more obscure but I like how it turned out. 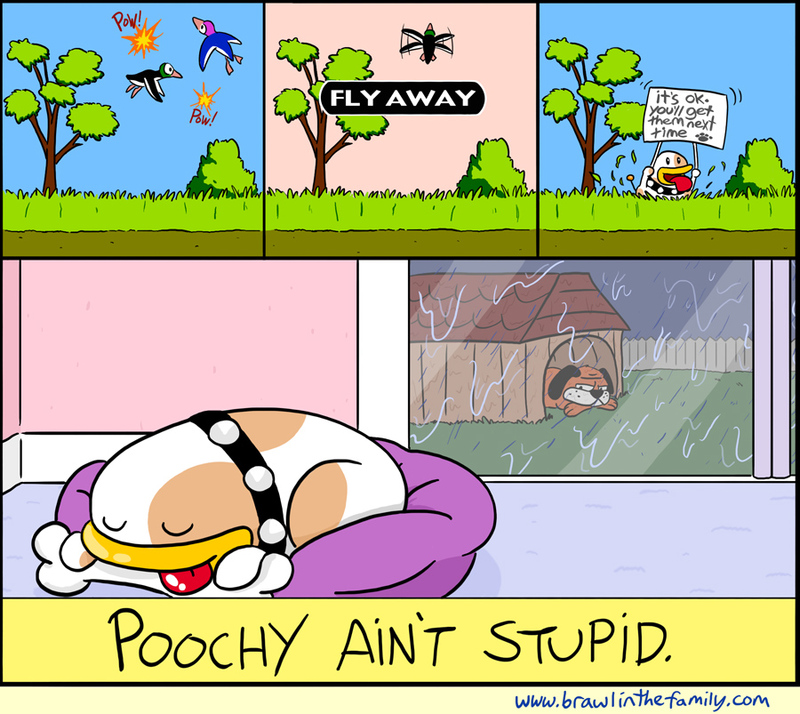 Poochy’s one of the funniest-looking dogs in a Nintendo game, I’d say. Chris and I agree that the Duck Hunt dog gets a bad rap though. I mean, think about it: he does a great job in sniffing out the ducks, then scaring them out for the hunter, as well as retrieving them. His taunting the hunter for missing seems more like good-natured, friendly ribbing than something malicious. Even so, he’s relegated to the doghouse for tonight. The sale in our store is still going on, and we have received our Dededolls so we are shipping out our Dededoll orders! Make sure to get one at the current discounted price!